Samsung Gear S4 is rumored to have a bigger battery compared to the Gear S3, meaning more run time for the upcoming gadget. Apart from the bigger battery, the Gear S4 is also expected to get a new color. According to SamMobile, that Samsung Gear S4 new color would be Gold. Samsung Gear S3 came with 380mAh battery capacity. The rumors are that the Gear S4 would have a 470mAh battery. Pushing the battery power a little higher might not bring a considerable difference in the performance except for buying a few more hours, but the users would welcome any improvement. Apart from a bigger battery, Samsung is also considering new shades for the upcoming Gear S4. The Gear S3 came in two shades – Dark Grey Frontier and the polished Silver Classic variants. However, the Samsung Gear S4 new color choices would include Gold as well. It would be the first time for Samsung to launch a smartwatch in three color options. Apart from the Samsung Gear S4 new color and larger battery, the expectations are also running high on features such as improved health and sleep tracking capabilities along with the ability to check blood pressure. Further, there are reports that the Gear S4 would come in two variants – a sportier Frontier model and a more traditional Classic version. And, the Gold color would reportedly be available for one variant only. Further, there is buzz that Samsung may ditch its Tizen operating system in favor of Google’s operating system. About the launch, the speculations were that the new wearable would have been unveiled last year at the IFA technology show in Berlin. Samsung, however, stayed silent about the Gear S4. The last time the South Korean giant upgraded its flagship smartwatch was two years back, and thus, we could expect the new version in the next few months. One of the rumors surrounding the Gear S4 is that Samsung might be considering changing the name of its upcoming flagship wearable. Going by the earlier trend, the new wearable would either go with the name Gear S4 or Gear Sport 2. However, reports are that the company has trademarked the names “Samsung Galaxy Fit” and “Samsung Galaxy Watch” with the U.S. Patent and Trademark Office. If Samsung does change the branding, it would give a clear message that the Korean company is very serious about its wearable segment. Given Samsung’s sheer size of operation and brand recognition globally, the user would be expecting more from the upcoming wearable. So, just releasing another watch with a few cosmetic changes would not translate into higher market share, especially considering the cut-throat competition ahead. 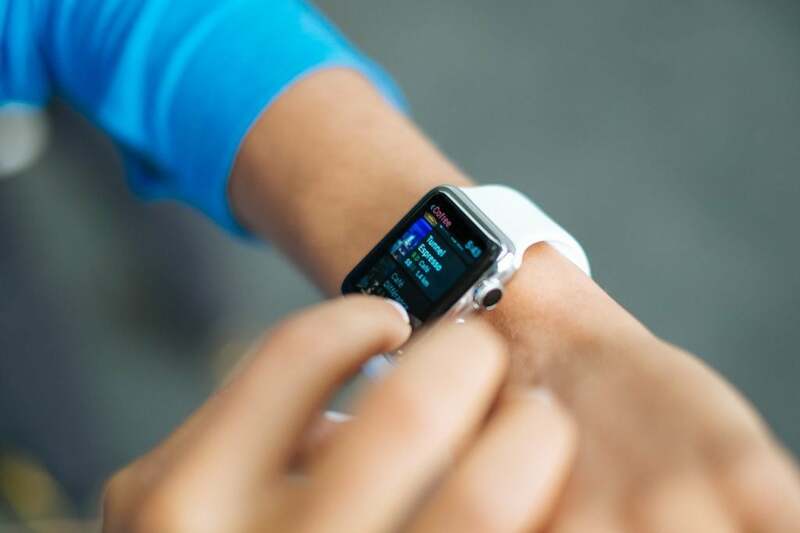 The next few months will see an influx of the smartwatches with more brands launching their smartwatches based on the Wear OS, including Fitbit Versa and smartwatches from top fashion brands. For Samsung, however, the biggest threat will be Apple, which will soon come up with its Apple Watch Series 4. Apple is expected to do a complete overhaul of its next Apple Watch series. Rumors suggest that the upcoming Apple Watch would come with a new gesture interface and possibly integrate the Face ID feature as well. Meanwhile, the Samsung Galaxy S9 and Galaxy S9 Plus are achieving good sales numbers despite overall sluggish smartphone sales and less attractive upgrades. The Plus version features a 6.2-inch QHD+ Super AMOLED display. The Galaxy S9 Plus is also the first smartphone other than the Galaxy S9 to come with a variable aperture. According to data from Counterpoint Research, the Galaxy S9 Plus was the best selling phone for April, pushing the iPhone X into the third spot. The data also reveals that the Galaxy S9 and the Galaxy S9 Plus accounted for 2.6% of the global smartphone sales in April 2018. The Apple iPhone X took the third spot with 2.3%, whereas the iPhone 8 stood in fourth place along with the iPhone 8 Plus. This is a little surprising because the iPhone 8 Plus offers more upgrades than the smaller model. Like the Galaxy S9 line, Samsung will be expecting a similar performance from the Gear S4 as well and would hope to fend off the competition to bag the top spot.